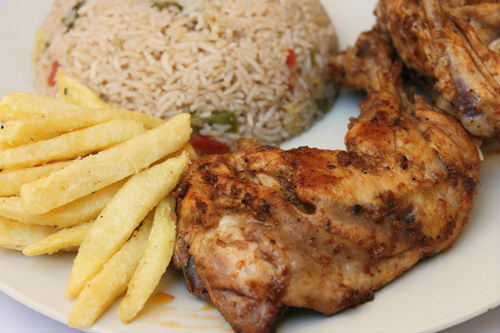 Without fries , grilled peri peri chicken is incomplete. My kids loved these crispy and chat patae fries. 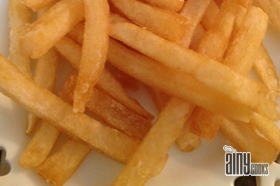 Serve these fries with Peri Peri chicken and rice. Boil water in a pot and just dip potatoes in boiled water for five minutes. Strain and let them cool a bit. 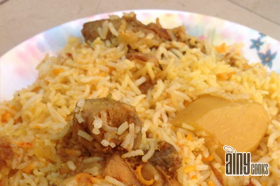 Coat them with corn flour and fry in oil. Make spice mix for Fries. Mix salt, lemon salt, crushed red chilies and chat masala. Sprinkle this masala before serving. 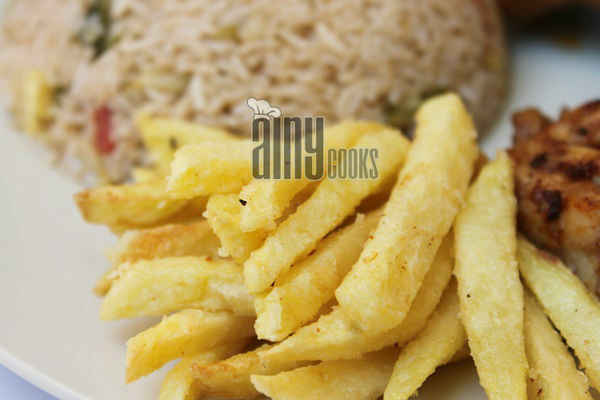 Serve these fries with SPICY PERI PERI RICE AND GRILLED PERI PERI CHICKEN.